It’s perhaps a tad stereotypical but the idea of the family recipe and Italian cuisine really go hand in hand – that idea of the Italian nonna, apron on, standing over bubbling, steaming pots, weaving magic without the use of recipe book, putting her secret touches here and there, getting ready to feed an army, even if there are only four of you eating. It may not be everyone’s nonna, but some still remember her like that. 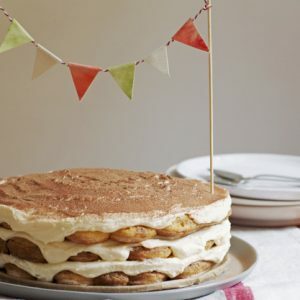 After much discussion, it was decided that “the family recipe” would be the topic of this month’s Italian Table Talk. A chance to talk about something cherished, a more personal post, something that inspires nostalgia, something that you could even call an heirloom and passed around the family or simply shared with friends. It’s also a window into Italian home life and culture. 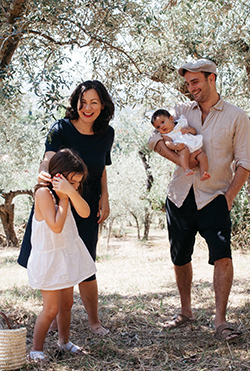 Take a peek: Valeria talks about family recipes she never knew and remakes a classic, pasta e fagioli, Giulia does her nonna’s choux pastries filled with lemon-scented crema and Jasmine does a humble spezzatino meat stew. I don’t actually have an Italian nonna, but I almost feel like I knew my husband Marco’s nonna, Lina — a pint-sized, tiny woman who laughed easily and would have done anything in the world for Marco and his sister — even though she passed away just two months before I met Marco. In many ways she lives on in recipes that Marco cooks. It’s a strange thing, since Marco never cooked before he met me (for those of you that know him, this is almost hard to believe as he is the one that does most of the cooking around here these days), so he never learned how to cook from her while she was around. In fact, apparently no one else really cooked when she was around as she was such a good cook and so ruled the kitchen that no one else really needed to be in there. This may explain why Marco’s mother, Angela, does not have the knack that his nonna did in the kitchen. 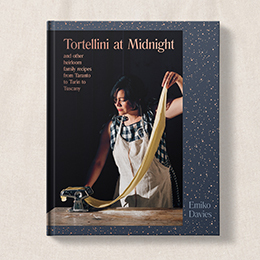 She certainly has a few good dishes up her sleeve – the classics that she pulls out for every special occasion – but what she lacks in skills in the kitchen she makes up for in remembering every dish that Nonna Lina was known for and how it was made. 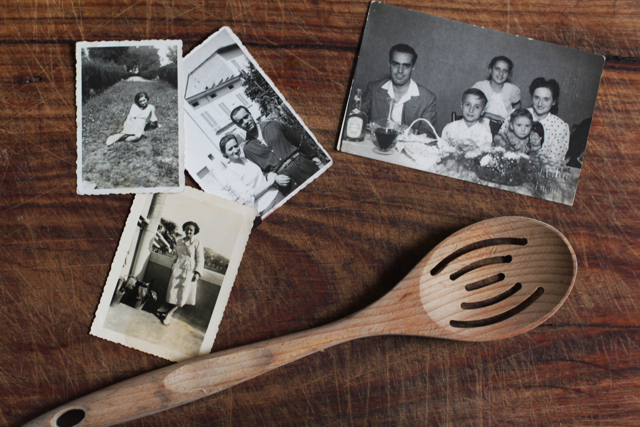 Whenever we mention a particular dish we’re cooking, Angela pipes up with Nonna Lina’s version. It’s like having a walking, talking recipe journal. A treasure really. Recently, we mentioned we’d bought some rabbit, which Marco was planning to turn into ragu. “Do Nonna Lina’s battutino,” suggested my mother in law. The battutino was one of those secret touches. In addition to the regular battuto (a soffritto of minced onion, celery, carrot and parsley stalks, left to sweat a little in the pan where the rabbit, cut into chunks, had been seared), a “little” battuto of garlic and rosemary was added towards the end of cooking, after the stew had plenty of time to braise, the wine and tomatoes had reduced into a thick sauce and the meat became so tender it was practically falling off the bone. Marco remembers his nonna making this ragu di coniglio, dressing thick, fresh pappardelle or maltagliati pasta, bought from the pasta shop across the road. She would leave the large chunks of rabbit with the bones in (which happens to give a great boost of flavour), so you could fish them out of your plate and chew on the bones – something Marco’s father and aunt relished doing. Sometimes the dish is not fully enjoyed if you don’t have to lick your fingers. It’s a good dish. Delicious, hearty, satisfying and homely. A dish I hope my daughter will soon be devouring, and will later hear about or maybe even learn. 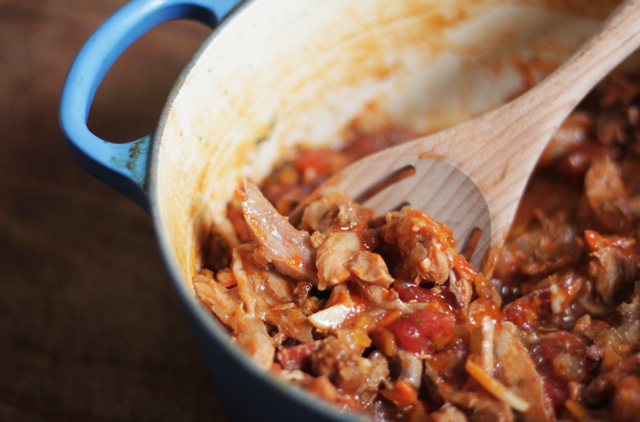 Chop the rabbit into large pieces (like in this recipe for cacciatore, hunter’s stew). Sear in a well-heated casserole pot in some olive oil. When browned on all sides, remove the rabbit pieces, turn down the heat to low-medium. Add the pancetta or rigatino, saute for a minute or two, then add the soffritto vegetables – the onion, carrot, celery and parsley stalks. 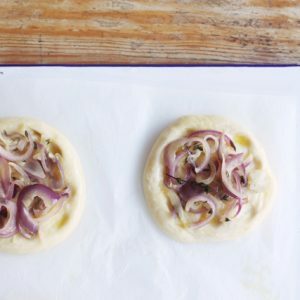 Let sweat on a low heat until the vegetables turn soft and the onion transparent. Add the tomato paste, let it combine completely with the soffritto, colouring the mixture. Then add the glass of white wine. Cook until the wine has reduced completely, then place the rabbit back in the pot and cover with water or stock. Place the lid on top and braise on low heat until the meat is tender – depending on the quality of the rabbit this could take a couple of hours. Add water as necessary. When tender, remove the meat from the pot and remove the bones from most of the meat, leaving the shoulder and legs if you like chewing on the bone. 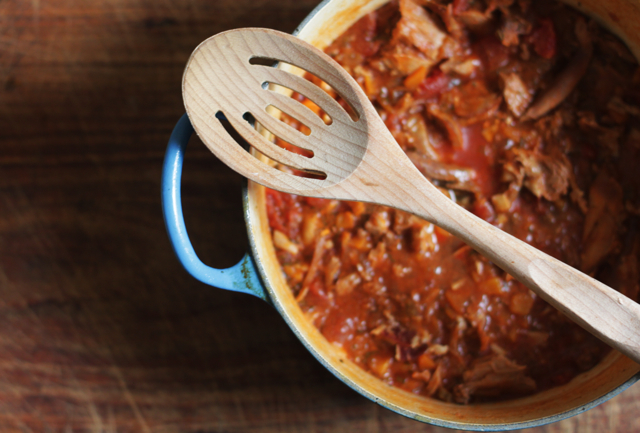 Watch out for any little bones (particularly the rib bones) as they can be deadly in this ragu! Place the meat back in the pot, season with salt and pepper, add the tomatoes and the battutino of garlic and rosemary. Remove the lid and reduce until you have a thick, silky sauce and a chunky ragu. Serve with fresh pappardelle or maltagliati and don’t be afraid to get your fingers dirty. Like Italian Table Talk? Come say hello to us on our facebook page. Be sure that Val and I will be trying this! We’ve been talking about eating rabbit for awhile now. I’ll have to get one from the butcher downstairs. Thanks Jesse! I do love this recipe and rabbit is great, so underlooked here after generations ago (my grandparents used to cook it) it was considered a really poor meat. Now it seems to be coming back in to culinary ‘fashion’ so it’s easy to find rabbit at the butcher or supermarket. We’ve just discovered our local butcher sells wild rabbit, which is what we used here – it needs to be cooked longer as it’s leaner, but it’s tastier (darker meat) and also happens to cost less than half the price of the farmed! Love family recipes, I have none myself as my mum is a terrible cook and my nan was already very old when I was growing up. There is something magical about recipes that go from mother to daughter or son. I intend to provide my children with new family recipes for them to pass on. Because in those dishes memories are kept. A delectable ragù. Rabbit tastes so good! Such family recipes are just wonderful. I’ve been wanting to try this for ages but sadly it’s not part of my Italian mother-in-law’s repertoire! Very happy to have finally found a tried and tested recipe to have a go at! 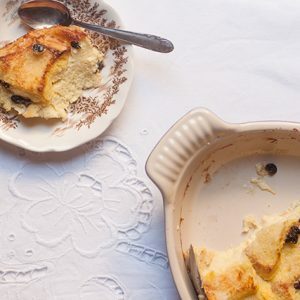 Even though it’s not in my mother-in-law’s repertoire either, I’m so glad she remembered all the details of the recipe after watching her mother make it so many times – I guess it skipped a generation but finally this recipe is back in the family kitchen! Hope you get to try it, I’m probably biased because of the sentimental value but it’s such a simple and so very delicious, warming ragu. I am salivating reading the recipe and the idea of leaving the bones inside… just how I like to cook and eat, rustic and flavourful. My grandma always talks about a rabbit ragu her mother used to make, but she’s always preferred the most classic version because she didn’t like the rabbit liver the would add into the meat sauce. I’ll have to force her to pass me the recipe, I wan to try it! I think you’d love this, Giulia – so rustic, so Tuscan! The liver – Marco is a fan – and you know, who would throw away meat at that time?! Sometimes the head of the rabbit would also be put in with the dish (here though they don’t sell the rabbits with their heads). Again, just adds flavour and more substance to the ragu! I’d love to compare recipes when your nonna gives you hers! I just love the idea of the rosemary and garlic battutino! Will definitely try this recipe, as we love game, and the season is upon us. I have a family recipe with hare or pheasant which includes lemon and wine, it’s beautiful. My mum makes it for festive occasions, when she also makes homemade noodles, so it feels very special to us. The battutino stays rather fresher, stronger by being added at the end. It’s clever isn’t it? I also love pheasant and hare, sounds wonderful with lemon and wine. This is exactly the kind of Italian comfort food I love and that makes me grateful that my kids have one Italian nonna. Me too! Although in this case, I’m grateful that my daughter’s nonna remembers all of her mother’s recipes and my husband is passionate about replicating them. The recipes live on! This ragù looks fantastic, and the double battuto trick – well, I can see it working in so many other recipes. I am going to start experimenting. 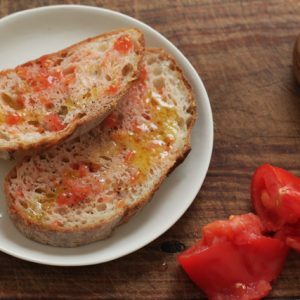 I absolutely love your blog, my mouth waters with every recipe I come across. Hello, I just came across your blog. I love it! The photography, writing and recipes are lovely. I look forward to following and reading more! I, too, had a Nonna Lina who spent every day in the kitchen cooking away. She made rabbit in exactly the same way only she always served it over polenta. Yum.